Dr. Marc S. Zimmerman completed his undergraduate degree from Ursinus College and then graduate school at Villanova University. He attended College of Osteopathic Medicine and Surgery, Des Moines, Iowa and later graduated from medical school at Medical College of Pennsylvania, Philadelphia. 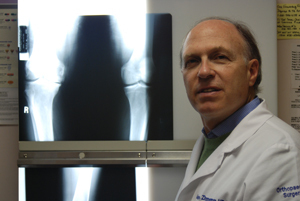 Dr. Zimmerman trained in surgery at Abington Hospital, Abington, Pennsylvania and orthopaedics at Thomas Jefferson University Hospital, Philadelphia, Pennsylvania. Dr. Zimmerman is married with two sons.